Amanda Jaffe, the heroine of Wild Justice and Proof Positive, is back—in this twisting tale of international intrigue and murder that leads her deep into the past . . . and into the crosshairs of a killer. 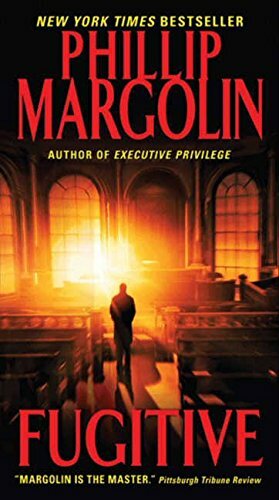 Charlie Marsh, a petty thief and con man, becomes a national hero when he rescues the warden of a state penitentiary during a prison riot, but it doesn't take long before he is wanted again, suspected of killing a United States congressman. After twelve years of living in the African nation of Batanga, at the mercy of Jean-Claude Baptiste, a sadistic, power-mad dictator, Charlie flees for home to face his murder charge, when Baptiste learns about Charlie's affair with the tyrant's favorite wife. But it's not just the state of Oregon that's got it in for the philandering con. Criminal lawyer Amanda Jaffe has her work cut out for her. She must keep Charlie off death row, protect him from the head of Baptiste's deadly secret police, and prevent him from being caught by a shadowy killer who will stop at nothing to keep the truth about a decade-old crime buried forever.